cage with GRPA66-25, PEEK, PI, AISI SUS304,SUS316,Cu,etc. manufactured clearance could be P4 to up grade. speed choice, it should be to install on the unforced. environments as corrosive,low temperature, high vacuum. The normal used ceramic materials with ZrO2. can adopt ZrO2, Si3N4 or Sic. and above, and the vibration level reach Z1 grade and above. We also can offer non-standard stainless steel bearings to meet some special type needs in engineering. 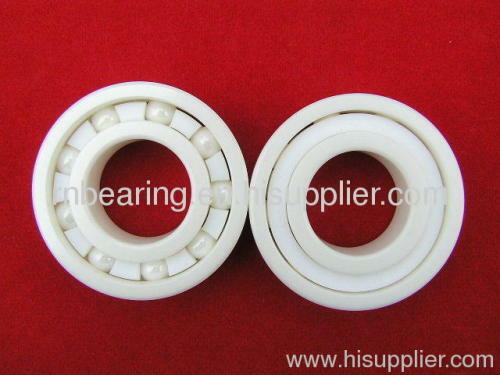 bearings are made of AISI SUS316L(316) or SUS304(including inside and outside rings, balls and cage). heaver load or higher speed.